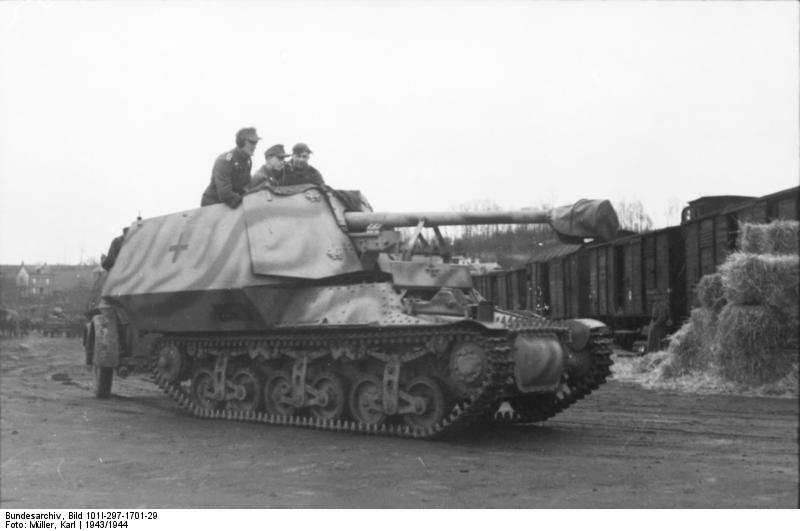 The Marder I Tank Destroyer was a German conversion of captured French tractor Tank Supply Tractor 1937 L, aka Tracteur Blindé 37L (Lorraine). The Marder I’s short development started in May 1942 and entered production in July and by August 1942, 170 Marder I had been built. Though primarily built on the Lorraine, several other French and Polish tanks were converted later in the war, such as the Hotchkiss H39 and FCM 36.